Linking your account to your phone ensures account safety and nets you 100 gold. Now you can be eligible to win even more gold in our latest contest! Please remember that in order to bind your account to your mobile phone you need to log in to your account and click on Account Management. Are battles played today eligible? The text is not clear. WG Staff, you still havent learned anything from the last contest? Do you even know or play your own game? I'm a bit confused. Why do you need 2 screenshots? You need the team page of the AAR, with mouse hovering over your medal stack, and the brief report of the match that appears in the bottom right? Or do you mean the summary page of the AAR? Edit: in the first case, you can have both on same screen at the same time. Edited by Loraen, 21 December 2012 - 01:15 PM. So is this the point where I should be thinking about getting a modern phone? Great event and cool it has 50 rewards thus a lot more chance to win than usual. "sugar coated mafia style bully tactics." better safe than sorry! are you for real WG? No other game requires this and all have email validation when a password is changed, so stop pulling the wool over ppl's eyes. All accounts should be 100% secure no matter if a mobile is liinked or not, or you need to seriously revise your security protocols asap. neg me all you want I really couldn't give a toss! Hey can someone pls copy/paste that event here so i can read what is about. I,m at work atm so i cant open that link becouse i have stupid smart filter that blocks anything about games. THX in front. Another bad event that is not for everyone.You are basically forced to play in a platoon, or you cant get BIA/CC achievements which worth 3 points.New players also are very unlikely to win , since some medals require to be tier 5 .Finally, you possibly need to be premium account user, considering experience matters in case of draw ( it wasn't mentioned though, which xp matter, basic, including premium , double xp? ).Also , theres no Lucky, Spartan, cool headed , ranger medals.It would be nice if the medals worth points according of the difficulty to earn it , not by type, and maybe boosting its worth if earned on strange situations ( ex. i got bombardier on Stug, Fadin on Tetrarch and Valentine, Sniper on Obj.261, Bilotte on PzII and T1 Cunningham.). PS. :in the event of getting in a game with 5+ arties, people will find themselves in a strange situation if they somehow manage to kill 4 arties.Go for 5th and get personal satisfaction ( Burda is most difficult to get medal in game imho ) or stop at 4 and ahve an extra point for contest. Edited by Horcan, 21 December 2012 - 01:37 PM. 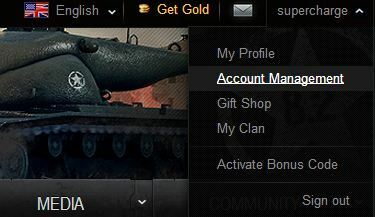 Will we have 66% off tank slots and barracks so I can actually use this gold? I've a simple question. I do know that linking a phone number with my account increases its security, as it can be used to retrieve password, and that's a good idea. BUT, will I be forced after such linking to use that number for buying gold? I've few prepaid numbers (in my country there is no need to register them), and somethimes i'm buying gold via phone, or SMS on premium rate. Not the most cost efficient method, but I simply don't have what to do with money on these numbers. So, my question is, if I'll link my account with one number, would it be possible for me to still purchase gold form other numbers? yes of course. "For this contest, you must play a battle between December 21th and 4th of January, 24:00 CEST (11:00 pm GMT)."